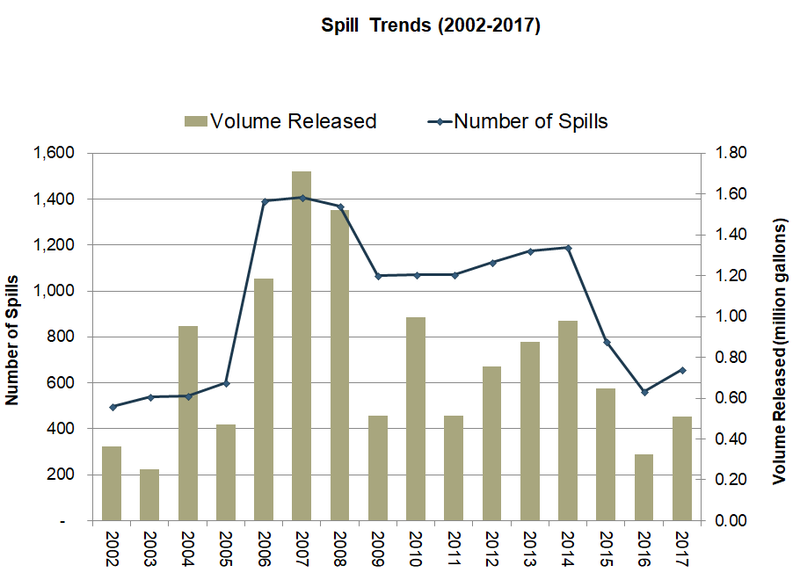 The Task Force’s regional oil spill database was launched in 2002, and is a unique and valuable resource that enables us to track trends in spills and related causal factors across the West Coast. We collect data on all reported spills of a barrel (42 gallons) or larger. Our database includes data from Alaska (AK), California (CA), Hawaii (HI), Oregon (OR) and Washington (WA). 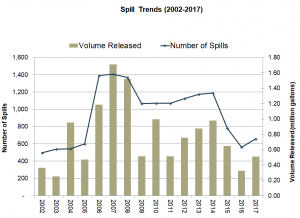 British Columbia does not collect oil spill data at this time. The Task Force oil spill database is created and maintained for informational purposes only. The data it contains reflects the respective agencies’ best information at the time it was submitted for inclusion in the Task Force’s database. Before submitting their data, each agency conducts their own QA/QC to ensure the information is as complete and accurate as possible, and that spill reporting requirements for their jurisdictions are met. Our QA/QC process is limited to ensuring that the data is consistent with the Task Force’s Data Dictionary. We do not conduct any additional, independent investigations to ensure data quality. In 2016, the Task Force partnered with NOAA to incorporate our oil spill data in to their ERMA mapping tool. Visit ERMA and check out our oil spill layers. 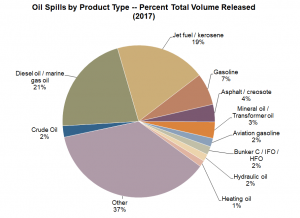 The following figures illustrate the percent total volume by product type for across the West Coast in 2016 (Figure 1) and trends in oil spill numbers and volume since the Task Force began the oil spill database (Figure 2).